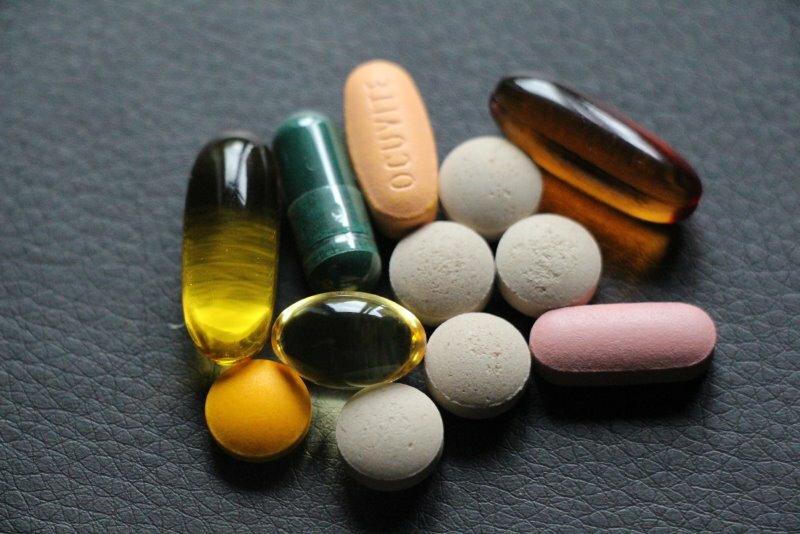 Food Supplements and Vitamins – Do We Really Need Them? How to choose vitamins and supplements? The nutrition we need can be in principle fully obtained from wholesome, organic food. However, for people on the go and especially frequent travelers it can be quite challenging to get all the nutrients that body needs. Even the wholesome organic food is depleted if compared to the food our ancestors consumed, plus up to half of its nutritional value may be lost through the preparation and cooking. As a result, we can, indeed, somewhat benefit from supplements. As a general guideline, supplement should be from natural origin and high-quality. Synthetic types are cheaper and can do more harm than good, so best to avoid them. I enclose below my list along with some key considerations. The list can be much longer and rather overwhelming so I stick with those that worked well for me and my family and group them in Core (absolutely essential to be used every day) and Optional (occasional use when/if appropriate). This vitamin is extremely important for our well-being. Deficiency of the vitamin D is associated with a large number of diseases like cancers, heart disease, autism, multiple sclerosis, cold, flu, eczema, depression, obesity and many others. A proper sun exposure is absolutely the best way to get your daily requirement of vitamin D. I enclose some basic guidelines here. If/when you need to supplement vitamin D, make sure you go for the best quality. The oral supplement needs to be in natural form of vitamin D3 (cholecalciferol), the same vitamin our body makes when exposed to sunshine. It is important to avoid vitamin D2 (Drisdol). As anti-cancer treatment, mega doses of vitamin C are sometimes given intravenously (to maintain the high levels in the bloodstream). Liposomal technology of producing vitamin C has been used to help increase absorption of nutrients and may work better even when compared to intravenous vitamin C. You can buy liposomal vitamin C on the internet but it is fairly expensive and good quality is not easy to find. In Europe you can buy Lipolife Gold and in the US Liposomal Vitamin C.
a) in form of Ascorbyl palmitate which is fat soluble, stable and extremely good for your skin. Alternative form L-ascorbyl palmitate should be avoided at all costs as it is highly acidic and can damage the sensitive skin. c) does not contain any soy emulsifier (soy lecithin). Also known as “good” bacteria, probiotic is extremely important for our immune system, digestion, detoxification etc. It is best to get it from fermented food like yogurt made from dairy or nut milks, kombucha, sauerkraut, kimchi, other fermented (“cultured”) vegetables and juices etc. doesn’t need refrigeration (typicaly a good indicator that product is of good quality). Dr. Mercola’s Probiotic, although expensive, is difficult to beat. I now use not as good but of solid quality and more affordable Bifibiol. Western diet in general is lacking Omega 3 and many articles have been written about importance of Omega 3. Supplement in form of Cod liver oil or Krill oil is therefore often necessary. Krill oil, although expensive is preferred for few reasons. Krill are small, shrimp-like creatures harvested from the cold Antarctic waters and probably the best sustainable source of Omega 3 on the planet. Besides Omega-3 fatty acids (EPA & DHA), krill oil contains vitamins A and E, plus astaxanthin (a powerful antioxidant). If you live in the Western world, the probability that you are iodine deficient is high. Iodine deficiency causes cancer, ADHD, Hypothyroidism and Retardation. Read more about Iodine Deficiency Epidemic. Therefore it is important to optimize your iodine levels through the natural intake of foods. Toxin-free sea vegetables like kelp and spirulina are among the best natural dietary sources of iodine in food. Celtic salt is all-natural, pure source of iodine that contains up to 350mcg per 1/4 tsp. Recommended daily supplementation of iodine is around 800mcg. Chlorella, a single-celled micro-algae, is one of the most powerful detoxification tools available as a supplement that is used to eliminate accumulated toxins, including mercury. You should look for Broken Cell Wall chlorella and be sure it comes from clean waters. You need to start small and increase supplementation gradually. I use Organic Broken Cell Wall Chlorella. Antioxidant that supports cardiovascular health; promotes healthy skin and hair. Look for a natural complex, free of soy (hard to find in Europe). I particularly like and use Unique E, that is indeed free of soy. 4. Evening Primrose Oil (for women). Vitamin B promotes brain health, hair and nail growth. Folate (a water-soluble B vitamin that is naturally present in some foods) is replenished easily and naturally by eating nutritious diet, rich in raw vegetables (best form of folate) and it is our best bet to get the necessary B. If you really need to supplement then look for a B complex that contain folate (natural form) as opposed to folic acid (synthetic type of B vitamin). Magnesium is often insufficiently supplied by a regular diet. The magnesium deficiency is difficult to define, however some signs like painful muscle spasms, muscle cramping, eye twitches, or involuntary eye movements, anxiety, maybe be attributed to lack of magnesium. Also, both physical and emotional stress and hyperactivity can cause lack of magnesium. Fresh, pure vegetable juices are the absolutely the best and preferred source of magnesium. Contrary to popular belief that calcium is good for bones, a new research claims that supplemental calcium may cause heart attacks, accelerate vascular calcification and create many other issues. Regular and easy bowel movement is very important and supplementation helps in case of issues. You can either take ground organic flaxseeds (flax is also source of omega-3) or Organic Psyllium. I use Organic Psyllium by Organic India.